Mayans made use of a number of methods and materials in augmenting their personal sense of beauty. According to Mayans, flatter foreheads were more beautiful than regular foreheads, so they used boards on the foreheads of the infants to shape them accordingly. Mayans also wore spools in their ears and other pieces of jewelry as articles of personal beauty. Another interesting aspect of Mayan sense of personal beauty was that they had their teeth filed to make them pointed, as part of looking beautiful. One of the most notable features of the Mayan sense of personal beauty was that they preferred flatter and elongated heads. The origin for this tradition may be in the shape of corn which Mayans associated with their deities. According to modern scholarship, Mayans came to consider elongated heads with flatter foreheads attractive because they resembled the shape of a corn ear more closely. To accomplish such foreheads, the parents typically had their infant child’s soft skull flattened with the help of wooden boards. Although this was essentially practised by the Mayan nobility, the practice of flattening foreheads was also common among the rest of the Mayan society. Mayans also considered crossed eyes as a major feature of personal beauty. Crossed eyes were highly preferred as opposed to regular eyes. To ensure that their children had crossed eyes, parents would dangle a toy in between the toddler’s eyes. By gazing at it long enough, the toddler’s eyes would become crossed over time and he would grow up to be cross-eyed. Mayans took particular care to maintain and adorn their hair. This was true for both Mayan men and women. Mayans considered beaked noses to be beautiful. Many Mayans naturally had beaked noses. It is possible that Mayans considered beaked noses more beautiful because many of their gods in the artworks and depictions are shown with similarly beaked noses. Such Mayans who didn’t naturally have a beaked nose resorted to using artificial bridges on their nose to give it an imitation of a hook. These artificial bridges were often made out of clay and appeared fairly identical to a natural nose. Mayans considered pointed teeth to be a feature of personal beauty. To accomplish such shape of the teeth, Mayans would have the teeth filed and sharpened. Pointed teeth were preferred either because they gave one a fierce look or because Mayans considered them to resemble corn kernels. The teeth were usually filed in such a way as to give the teeth a T-shaped look. Members of the Mayan nobility also had their teeth drilled and inlaid with precious materials such as pieces of jade or turquoise. Such dental decorations were considered a very important aspect of personal beauty. The decorative stones or discs of obsidian were lodged so firmly into the teeth that excavations of skeletons at some Mayan sites show them still in place. Some members of the nobility had more than a single stone or discs fitted up into a single tooth, giving the teeth a multi-shaded look. Mayans took particular care to maintain and adorn their hair. This was true for both Mayan men and women. Both preferred to maintain long hair but this was limited to the nobility. Commoners were required to cut their hair short as a mark of distinguishing them from the nobility. Women of the nobility usually wore their hair as braids, or wove different ornaments into them. To adorn their hair, men typically made use of headdresses as usual, often decorated with colourful feathers. Headdresses also served as a mark of distinction and indicated the social status of the wearer. Body piercing was a common practice among the Mayans and a pierced body was considered beautiful. The most common form of body piercing was ear-piercing which was used to wear spools and other adornments. Other forms of piercing included nose and lip piercing. Many modern researchers have theorised that piercing the body and shedding one’s blood was a sort of ritual practised by the ancient Mayans in order to honour their gods, apart from being also a way of enhancing their beauty. Mayans commonly adorned their bodies with tattoos. Men had their bodies tattooed after getting married and wore tattoos on their arms, legs, hands and face. Women wore tattoos on their upper bodies. Getting the body tattooed was a fairly painful procedure and the artists making the tattoos literally carved them into the flesh of the person getting it. Common symbols used as tattoos included depictions of gods, animals or cosmic elements. Mayans believed that having a god depicted on their body would give them some of the powers of the god. Such Mayans who chose to have their bodies tattooed were considered more beautiful and brave in Mayan society. Mayan conceptions of beauty didn’t depend a whole lot on the type of clothes worn by people. Although the nobility made use of well-made clothes, they didn’t consider wearing them as an augmentation of their looks. Rather, clothing was more confined to revealing the status of a person. For this reason, notable leaders and rulers were the only ones who wore headdresses on a regular basis. Headdresses were a clear giveaway of the wearer’s social status. The larger a headdress typically was, the more important the wearer was considered in the Mayan society. Mayans had a unique and extraordinary sense of personal beauty. This comprised of a number of personal traits which the Mayans considered signs of beauty. Flatter foreheads were considered beautiful among the Mayans and for this purpose, the forehead of infants were pressed to flatten them into the desired shape. Crossed eyes were also considered beautiful and parents would dangle toys between the infants’ eyes to help them develop crossed eyes. 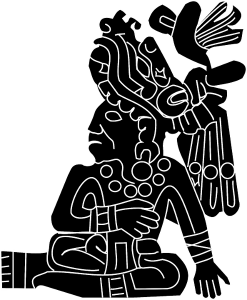 Other traits which Mayans thought augmented their beauty included body piercings such as nose, ear and lips piercings, and filed teeth which were often inlaid with precious stones and obsidian discs. Some Mayans also had their bodies tattooed which served the dual purpose of enhancing the bodily beauty and as a tribute to the gods which were depicted in the tattoos.